New Arrivals Vol 5: Artists For Hurricane Sandy Relief To Benefit Three NYC-Area Charities Set For Early Digital Release On October 29th. New York, NY – MPress Records announces the final line-up of the 5th installment in its charity compilation series, New Arrivals Vol. 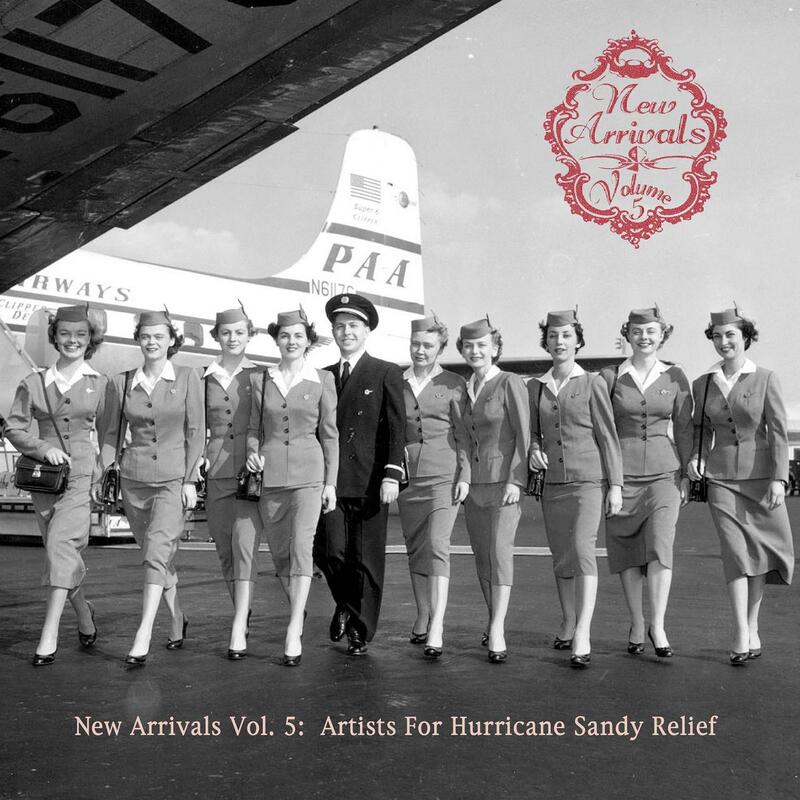 5: Artists For Hurricane Sandy Relief (Due out Oct. 29th digitally, and January 14th physically). Conceived by MPress founder Rachael Sage and culled from over 1,000 submissions, "NAV5" features a wealth of international indie talent including: rising Brooklyn-based band Lucius; acclaimed NYC singer-songwriters Lucy Wainwright Roche and Ari Hest; UK folk-pop artists Polly Paulusma and Stephen Langstaff; and a bonus track by Grammy® Winner Paula Cole. 100% of all funds collected from the sale of this compilation benefit three NYC-based charities that are still continuing to serve communities affected by Hurricane Sandy: The Red Hook Initiative (Brooklyn), Project Hospitality Staten Island Hurricane Relief Fund (Staten Island) and Graybeards (The Rockaways). The New Arrivals charity compilation series continues to showcase both established and indie artists, while raising funds and awareness for worthy causes. Launched in 2006, each CD continues to raise funds for its respective charity: Volume 1 benefits Gulf Coast Hurricane Relief, Volume 2 benefits World Hunger Year, Volume 3 benefits NEDA (National Eating Disorder Association), and Volume 4 benefits The National Network For Youth. NAV5 sponsors include: Blurt Magazine, M Music & Musicians Magazine, The Musician's Atlas, A To Z Media, Powderfinger Promotions and DirectCurrentMusic.com. MPress Records, founded over a decade ago by singer/songwriter, producer and Independent Music Award Winner Rachael Sage, has released 10 of Sage's own albums and is also home to indie trailblazer and Billboard® Charting folk-rocker Melissa Ferrick, Grammy® nominee Seth Glier, and the New Arrivals Series. Artists who have appeared on prior volumes of New Arrivals – and who have appeared at MPress-produced showcases at CMJ and SXSW – include: Jill Sobule, Glen Phillips, The Kin, Stephen Kellogg, Jay Clifford, Mieka Pauley, Chris Pureka, Caleb Hawley, Katie Costello and Lelia Broussard. For more information including sponsorship opportunities, please visit: www.newarrrivalscd.com.